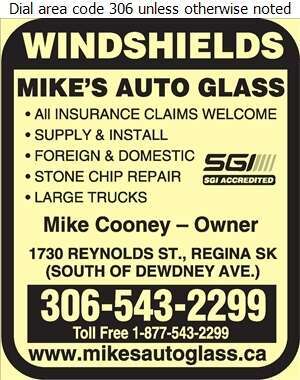 At Mike's Auto Glass we focus on quality workmanship and customer satisfaction on all our glass replacement and repairs. Serving Regina and area for over 24 years. We can repair or replace any type of glass for any make or model, age of vehicle, foreign & domestic. We want you to feel secure when making your auto glass purchasing decision. 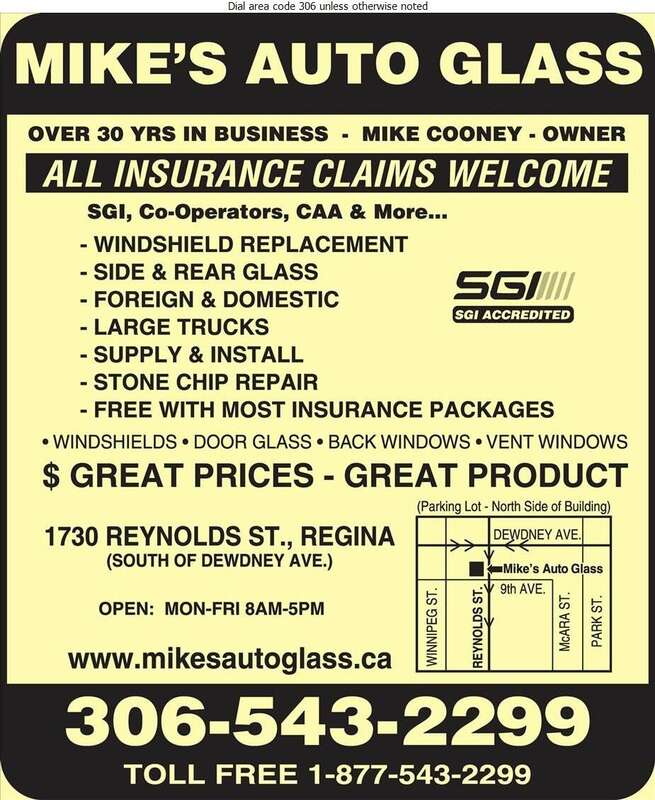 Mikes Auto Glass welcomes all insurance claims. We also carry a large selection of glass in stock for door glass, vent windows and back windows..
We are open on Saturdays to help serve you better.